LABORATORY SERIES. No.09. 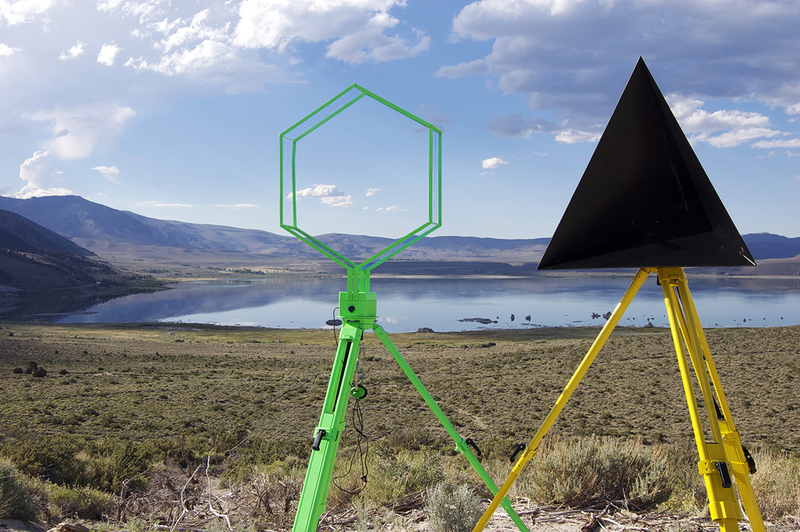 VLF and Stealth Object Tripods in Mono Lake, CA, 2012-13. Devices conceived as part of a portable media-rig for Venue, a sixteen-month expedition that surveyed and recorded overlooked sites across North America. Inspired by images of early trekking missions, the toolbox re-imagined a standard set of topographic tripods from a glow-in-the-dark Durer grid to a low-frequency space weather radio. Photo Courtesy of Nicola Twilley and Geoff Manaugh, Venue.